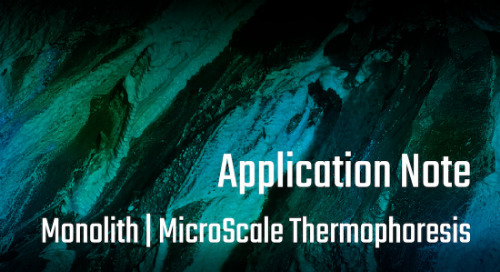 Here we report a thermodynamic analysis of biomolecular interactions using MicroScale Thermophoresis (MST). Using DNA hybridization with fluorescently labeled oligonucleotides as a well-characterized model system, we monitor the shift in the dissociation (Kd) constant of the interaction over a range of temperatures and calculate the free enthalpy (ΔH) and entropy (ΔS) for the hybridization reaction. The obtained values were in excellent agreement with theoretically calculated values, demonstrating that MST is feasible to perform thermodynamic analysis of biomolecules.